What once was assuredly treated as crazy talk – if I’m being honest – now represents the collective nightmare for a team in its first season…expectations change. A first-round playoff exit for the Golden Knights would now be a very tough pill to swallow. Having catapulted themselves up hockey’s hierarchy in record time, they have brought upon themselves a level of pressure nobody expected them to have to contend with until well into the future. With so much to be decided between now and the end of the season, neither players or coaches have been willing to even discuss playoffs, instead choosing to focus on each remaining game as it comes – Vegas, after all, remains within striking distance of the conference-leading Nashville Predators, and home-ice throughout the playoffs would be a huge positive. Still, despite a pursuit of the Predators that may fall short, the Golden Knights are in a good spot regardless, having all but guaranteed themselves home-ice through the first two rounds of the playoffs. It’s a spot nobody thought they had any hope of being in—nobody except themselves. Can they continue defying the odds as they embark on their first collective playoff experience? For some, falling on your face after coming so far would be nothing more than an unplanned but tolerated reality of a Sin City vacation. But for this team, these playoffs represent a chance to continue proving the doubters wrong. An early exit would be brutally sobering. On that note, let’s take a look at some of the teams that could potentially draw Vegas in round one. Both of Vegas’ victories against the Dallas Stars came on the road. Dallas has been a far better team at home than they have been on the road, a trend that favors the Golden Knights in a potential playoff matchup. Their last game came back in December, so neither team has what you’d call a recent memory to harken back to. Special teams is always a factor come playoff time and Vegas’s power play is superior. However, the Stars’ penalty kill is no joke, ranking fifth in the league. And then there’s goaltending. Marc-Andre Fleury and Ben Bishop have both enjoyed great seasons, albeit both having been interrupted by injuries. If one were to vastly outplay the other, it would very likely decide the fate of the series. In the case of Bishop, he’s been mostly great in two different playoff appearances. Fleury’s play has been more erratic. His play in relief of an injured Matt Murray a season ago affirmed that he still has what it takes to succeed in the playoffs but beyond that, it’s been a decade since he excelled in such an environment. 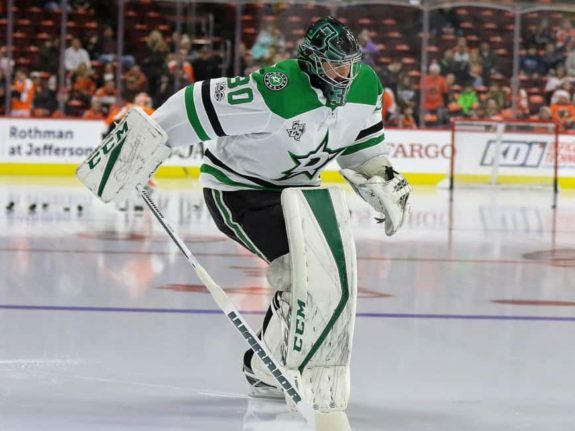 A series with the Stars has the potential of an upset given the Stars’ star power and their goalie’s penchant for playoff heroics. Not saying it would happen, but the possibility certainly exists if, say, Dallas got off to a hot start and exorcised its road demons early. In both games, Minnesota shelled Vegas, scoring nine goals combined. They are the only Western Conference team Vegas has failed to register a win against this season – they still have one more opportunity to do so on March 16. Eric Staal has registered five points in the two games, Jonas Brodin has chipped in four points, representing 25 percent of his season point total, and Devin Dubnyk has stymied Vegas’s offense, turning away 51 of 55 shots in total. A caveat worth noting is Fleury’s absence from both of these games. Having won eight of their last 10, the Wild are peaking at the right time, playing some of their best hockey of the season. They’ve made life very difficult for the Knights in both games and as a result, could be in the heads of some Vegas players. Coming off consecutive first-round exits, a third one-and-done at the hands of an expansion team (standings notwithstanding) could bring wholesale changes to Minny. One might say they have more to lose than Vegas does. This is one of the scarier playoff prospects facing Gallant’s squad. Their lone meeting this season was a 7-0 home win for the Golden Knights. 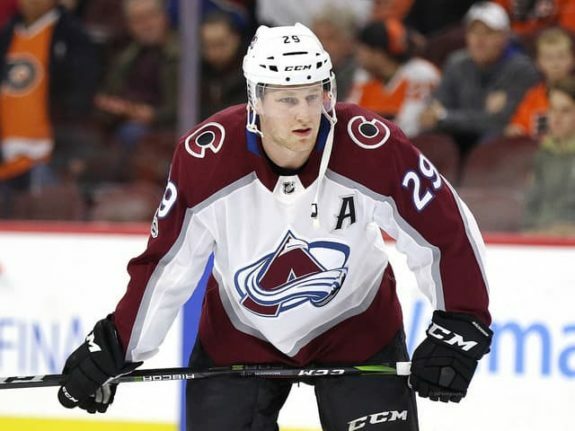 While it came way back in October, a thrashing of that sort sticks with a team and you can bet Colorado will try to nullify whatever psychological benefit it might have given Vegas in their upcoming home-and-home at the end of March. On paper, this is a good matchup for the Golden Knights, starting with Colorado’s road record. They are a different team on the road compared to home. If the Avs can win the final two meetings perhaps it serves as a notice for the Knights to not look past a potential playoff series. With points in 7 of their last 10, they are making a push for the playoffs but the statistical probability of them making them remains nothing more than a coin flip. Anaheim would have to fall outside the top-3 in the Pacific, which seems unlikely but one never knows. 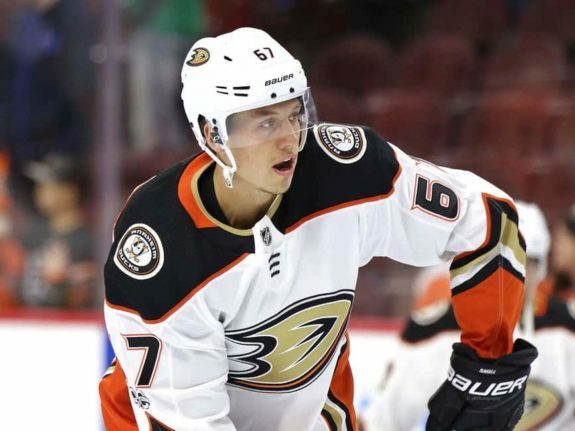 The Ducks’ size up front could give Vegas problems in a seven-game series. On top of that, they possess far more playoff experience and despite having dropped three games to the Knights, the Ducks did win the most recent contest – #littlevictories? Anaheim’s Achilles heel has been their third-period play. It is the only period they have been outscored and outshot by their opponents. And yet, they have a better record when being outshot, so go figure. Special teams is an area Vegas needs to exploit if these two meet. The Ducks have the third-best even-strength save percentage but have also spent more time short-handed than any other team. Taking too many penalties will feed what has been a lethal Golden Knights power play all season long. One final thing to keep in mind is their respective records in close games – Anaheim is a 9-3 in one-goal games and Vegas is 8-7. All this said, Anaheim is 7-2-1 in its last 10 and would need to go on a significant slide to fall into a wild-card spot. Odds of that happening are slim. Losing Joe Thornton makes them a far less fearful foe in the playoffs, but reports from a few weeks ago suggest he is expected back before season’s end. Both games this year have been high scoring: a 5-3 Vegas victory followed by a 5-4 OT win for the Golden Knights. 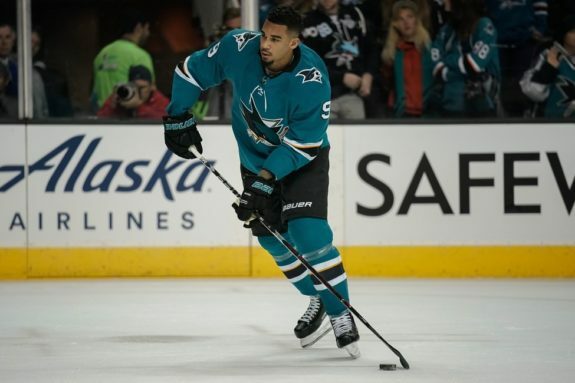 Similar to their division rival Anaheim Ducks, the Sharks have a better record than Vegas in close games going 8-3 in one-goal contests. Furthermore, the Sharks have yet to drop a game in regulation in which they were leading after two periods. Coming back on them remains a very difficult task. Despite some on paper advantages, I wouldn’t predict San Jose actually beating Vegas in a series. Rather I’d expect the Knights to prevail in five or six games. After two consecutive wins early, Vegas dropped the last two, a home-and-home. The Kings are always a tough out in the playoffs and if it were to go seven, the desert heat would certainly creep into T-Mobile, making it a nail-biting series finale. The Kings are looking to get back to the playoffs following a one-year hiatus. They are proof that seedings determine where games are played and little else, having gone on to win the Stanley Cup twice after finishing third in their division. Only two teams have yielded fewer goals than the Kings, and a Knights-Kings playoff series figures to be a tightly-contested matchup. Something else to consider is the Kings’ sneaky-good form on the road, holding a record of 20-13-2 away from Staples Center as of March 7. They also hold opponents to 16 percent with the man-advantage, good for second in the league. As good as Jack Campbell was in the last game against Vegas, don’t expect head coach John Stevens to double down on him in a playoff setting – that win remains Campbell’s lone start this season. Such an act would be grounds for immediate dismissal. He’d face less criticism if he opted to give Kelly Hrudey a spot start. 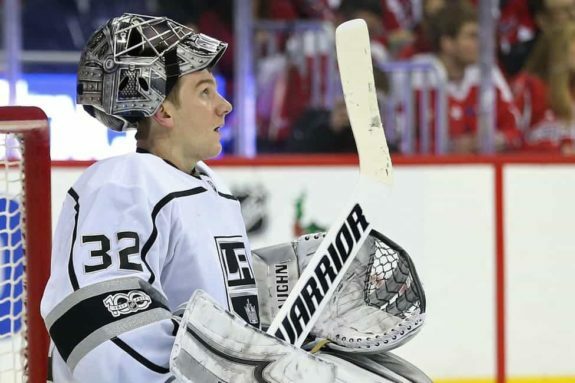 Dethroning the Kings will call for the Knights to get the better of proven playoff performer Jonathan Quick. The chances of an upset vary depending on the opponent, but there exists a chance in any scenario. 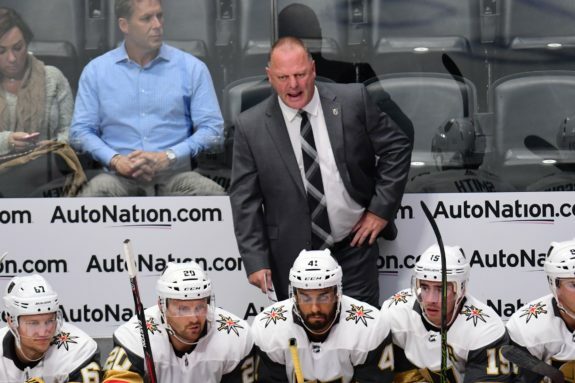 If a team can defy the odds, upsetting the Knights in the process, there will be those that point to multiple early-season claims of Vegas being nothing more than an expansion laughingstock. Although through entirely unforeseen circumstances, it would be a claim not entirely void of truth considering how delicious the Vegas Kool-Aid has tasted over the first eighty-two.